Today Nokia launched Nokia 6.1 Plus in India at very reasonable price of 15,999 , this phone has the glass design which makes it look and feel more expressive. 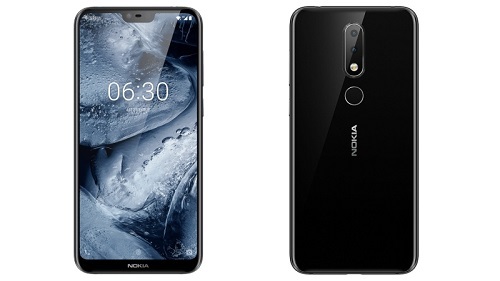 Below You can see that All the features and specifications of this phone which is Nokia 6.1 Plus. The specifications of the Nokia 6.1 Plus are the same as that of the Nokia X6. The dual-SIM (Nano) smartphone runs on pure Android 8.1 Oreo. It sports a 5.8-inch full-HD+ (1080×2280 pixels) display with 2.5D Gorilla Glass 3 for protection, and a display notch, therefore, a 19:9 aspect ratio. It is powered by an octa-core Snapdragon 636 SoC, coupled with 4GB RAM. The Nokia 6.1 Plus is fuelled by a 3060mAh battery that when coupled with an 18W charger can deliver up to 50 percent of charge in 30 minutes. The Nokia 6.1 Plus comes with 64GB of inbuilt storage, expandable via microSD card (up to 400GB). It features a dual rear camera setup with one 16-megapixel sensor and another 5-megapixel monochrome sensor, sporting an f/2.0 aperture and 1-micron pixels. On the front, it comes with a 16-megapixel camera with the same f/2.0 aperture and 1-micron pixel sensor. 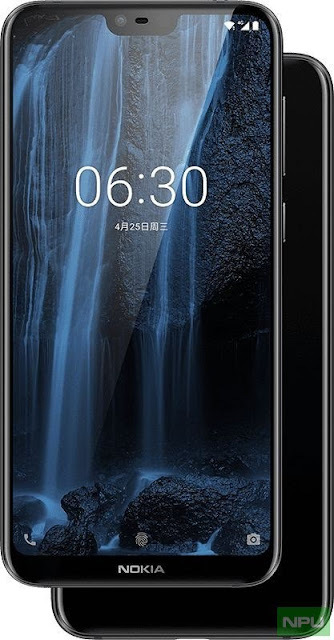 Nokia 6.1 Plus also include 4G VoLTE, Wi-Fi 802.11ac, Bluetooth v5.0, GPS/ A-GPS, a 3.5mm headphone jack, and a USB Type-C port. Sensors on board the Nokia 6.1 Plus are accelerometer, ambient light sensor, digital compass, gyroscope, and proximity sensor. In terms of dimensions, the smartphone measures 147.2×70.98×7.99mm (excluding the lens), going up to 8.59mm with the lens, and weighs 151 grams.